LIMITED OFFER: Get Acess to our techniques & LIFETIME Access to our Members Centre. FOREX trading is one of the few ways to build wealth quickly, and trading can be learned by ANYONE with a willingness to learn and a desire to succeed however most Forex educators don't give their trades why? Because their not traders and have no confidence they can make profits. We are confident in our strategy to make profits longer term so give our trades on 14 FX pairs daily. Of course, you will want to do your own trades in your own way but seeing us trade will give you confidence that the techniques are based on sound logic and work. Our complete wealth-building FOREX course gives you proven strategies, daily and weekly technical updates and lessons, plus full support from experienced traders to help you become a successful FX trader from home. 90% of Forex traders have ALWAYS lost money. You would think that due to this fact, it would be difficult to make money but if you think about the fact, it actually gives you the real secret of success. The SAME ratio of traders have always lost money despite huge advances in technology over the years such as faster computers, advances in software and the Internet which delivers a huge volume of news and analysis at the click of a mouse – so why does the ratio stay the same? The answer is HUMAN Psychology. Most traders fail to control their emotions, thereby losing, and this will never change. Simple systems work best and always have, but you must have a strategy based on sound logic which you understand, in order to follow your trading signals with discipline. 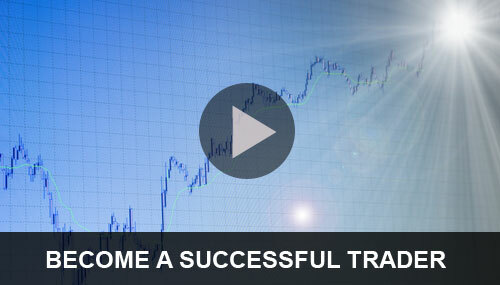 How professional traders make big profits and you can too! The biggest myth of FOREX trading is that successful traders are all highly-educated or computer buffs... they're not! In fact, many have no formal education but make big profits. The professional trader uses a simple system focused on trading PRICE ACTION which is simple, flexible, and adaptable to different trading conditions. They DON'T clutter their strategy with too many indicators, and they simply respond to market changes quickly. Indicators have their place in FOREX trading but they're a backup - NOT a leading indicator; price action IS. Successful traders trade the reality of price change. They don't try and predict the future, they "trade the truth" which is price action on a chart. Our system is designed to catch and hold long term trends which can last for weeks or longer. However, the system can also be used to trade shorter term to maximize your profit potential. The system is designed to adapt to trading conditions; when big trends are present, focus on them but if the markets are trading sideways, you can still make big profits by swing-trading overbought and oversold currencies. A key to making money in FOREX is having confidence in your trading plan. Simply learn the logic of how it works and trade it with confidence - the logic of our system is fully explained so you know EXACTLY why it makes money! The VBM system shows you how to take advantage of shifts in price momentum and velocity, near-important support, and resistance points which gives advance warning of whether levels will hold or break. 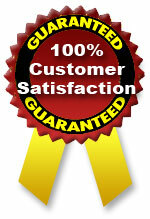 This allows you to set your order in advance and position yourself for big profits. The big advantage of the VBM Strategy is that there's no predicting or hoping where prices may go - the VBM gives you CONFIRMATION. Shifts in price velocity CONFIRM where prices are likely to go at important support and resistance points, so you can trade with the odds firmly in your favour. Order our strategy, read it and follow the updates. If after 90 days, you decide that we haven't helped you become a better and more profitable trader, simply email us after the trial period ends and we will refund your subscription in FULL... No questions asked! You Have NO-RISK, so order your course today! Receive our Full trading strategy and get LIFE access to our daily analysis and all our research reports. A LIMITED OFFER: $237.00 only!